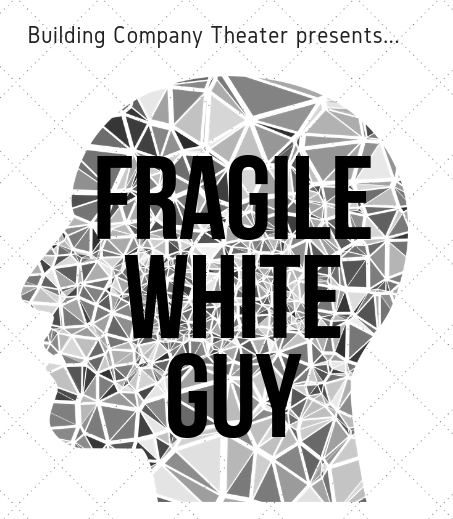 Building Company Theater is thrilled to announce that, following a successful run at SALTSpace Performing Arts Center, it will present Fragile White Guy for two performances hosted by ArtRage Gallery. Fragile White Guy is an hour long play that follows the journey of Flick Richardson – a modern everyman, Rust Belt white guy – who gets “awakened” to his racist behavior and the realities of what it means to be white. Inspired by the teachings of James Baldwin and by the work and scholarship of Dr. Robin DiAngelo in her book White Fragility – Why It’s So Hard for White People to Talk About Racism, the play is a rich mixture of physical theater, visual imagery and Flick’s heartfelt narrative.